आयुष्मान भारत योजना की समीक्षा - एक प्रभावी स्कीम या एक और असफलता ? Ayushman Bharat Yojana or Pradhan Mantri Jan Arogya Yojana is a flagship scheme of the Modi government which was launched to provide proper healthcare to all the poor citizens. But here we are going to tell you the detailed analysis of the PMJAY scheme and whether this scheme is a success or failure. As this is a much hyped mega health insurance scheme and gained lot of popularity since its announcement by PM Modi from Lal Qila, people must know its actual details and its operational procedure. Under this scheme, the central govt. provide cashless treatment upto Rs. 5 lakh to 50 crore people. Even the difficulties faced by the people while getting cashless treatment at the empanelled hospitals are mentioned in this post. Here we are listing the advantages and disadvantages of Ayushman Bharat – PM Jan Arogya Yojana. The number of hospitals empanelled under Ayushman Bharat Yojana are lesser. PMJAY is an optional scheme for the hospitals i.e it gives the private hospitals a choice to become empanelled or not. So, a large number of private hospitals are staying out and are not opting for the scheme. This is because the package rates are fixed for the treatment procedure which hospitals believe are not sufficient. Therefore, a large number of people who wants treatment in these specific hospitals are not getting AB-PMJAY scheme benefits. In our opinion, the central govt. must make it compulsory for all the hospitals to get empanelled in these hospitals. People does not have the basic knowledge about the operational guidelines of the scheme. Poor people are getting Ayushman Bharat e-Cards at home, but are unaware of what to do with these health insurance cards. At all the empanelled hospitals, Arogya Mitras are not present even during the daytime which is causing problems to a large number of people. So, there must be an authority which should keep a check on these Arogya Mitras whether they are discharging their duties with utmost sincerity or not. Some people and websites are asking for money to include the name of non-beneficiaries in the Ayushman Bharat Scheme. It is imperative to note that Ayushman Bharat Yojana is an eligibility based scheme and its beneficiaries are already identified by the central government. The complete list of PMJAY beneficiaries is available at mera.pmjay.gov.in website under Am i eligible section. People must not fell prey to such unauthorized people and fraudulent websites which are asking for money as there is no application procedure for PMJAY enrollment. Some empanelled hospitals are creating patients on their own and are doing fraud. This is a reality as those people who are completely alright and their name appears in the SECC 2011 data are doing contracts with the hospitals. The contract is about the treatment that the hospitals will show that the person is ill and requires treatment and person is admitted in their hospitals. Then these hospitals make huge bills of treatment and gets it from the government and the person gets margin (10% or 20% of the total bill) from the hospitals. Thus this type of corruption in Ayushman Bharat Scheme is preventing its benefits to reach the needy people (intended beneficiaries). Another major disadvantage is that OPD fees for consulting doctors is not included under the Ayushman Bharat Yojana package. Moreover, people must remain admitted in the hospitals for at-least 2 days to claim scheme benefits which is a drawback. In case of minor diseases like fever which can be treated with medicines only are not included in this scheme. The primary objective behind the launch of Modicare scheme was to provide cashless treatment upto Rs. 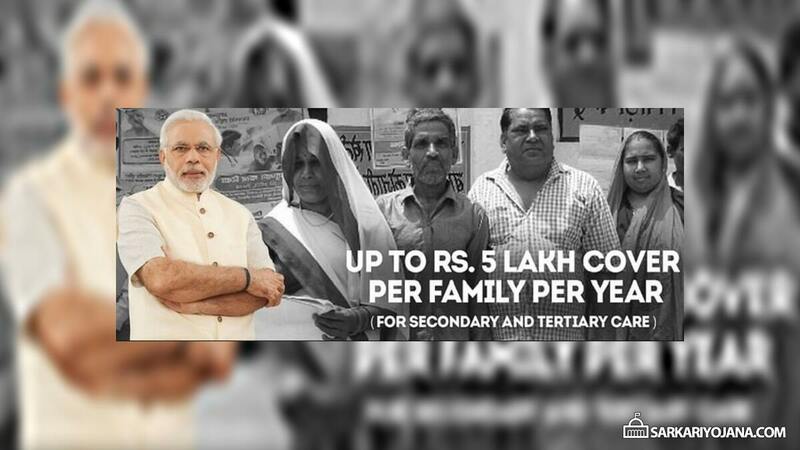 5 lakh to all poor families. So, the central govt. has fixed a minimum requirement that in case the name of the family appears in the SECC 2011 list, then all such people can avail free treatment at govt. / private hospitals. Around 10 crore families (over 50 crore people) are included in this scheme. As of 3rd April 2019, the official data states that around 15,291 hospitals have been empanelled under PM Jan Arogya Yojana. In addition to this, more than 18.35 lakh beneficiaries have been admitted at various empanelled hospitals and the central govt. has already issued more than 2.89 crore e-cards. Modicare scheme has many benefits such as it includes all the pre-existing diseases. The coverage of PMJAY scheme also includes diagnosis, operation, treatment fees along with pre-hospitalization and post hospitalization charges in some cases. The list of those things which are outside the scope of treatment is very small. So in our opinion, this health insurance scheme is launched with good intention and to provide treatment to every poor people. But some people are trying to rule out its advantages and make it a failure. The central government has issued complete guidelines about every aspect of this scheme but has not reached to all the people. Accordingly, there is a need to create mass awareness about the Pradhan Mantri Jan Arogya Yojana and to let people know that how could they get benefits of this scheme. In the near future, if the scheme is implemented correctly without corruption practices then it would be a completely successful and worlds largest healthcare scheme. But in case the scheme is not implemented properly, then it would be a failure and would become like one of the many other previous government healthcare schemes.